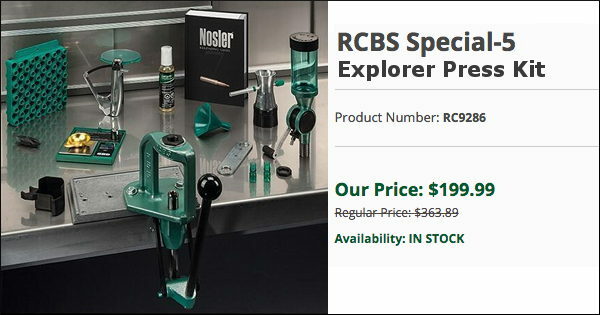 This RCBS Kit has everything a new reloader needs: single-stage press, powder measure, scale, powder trickler, priming tool, cartridge tray, “rocket” chamfer tool, case lube and more. 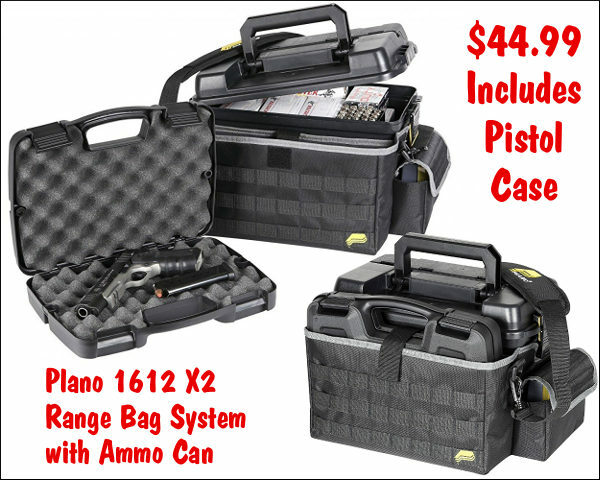 This is an excellent entry-level reloading kit, on sale for just $199.99 at Natchez Shooters Supplies. We like the relatively compact Special 5 press for most reloading duties. Eventually you may want to add an additional, large heavy press, but this will get the job done. For the combined package, with all the tools one needs to hand-load quality ammo — this is a stunningly good deal at $199.99. CDNN Sports has some of the nicest modern Browning rifles we’ve seen. 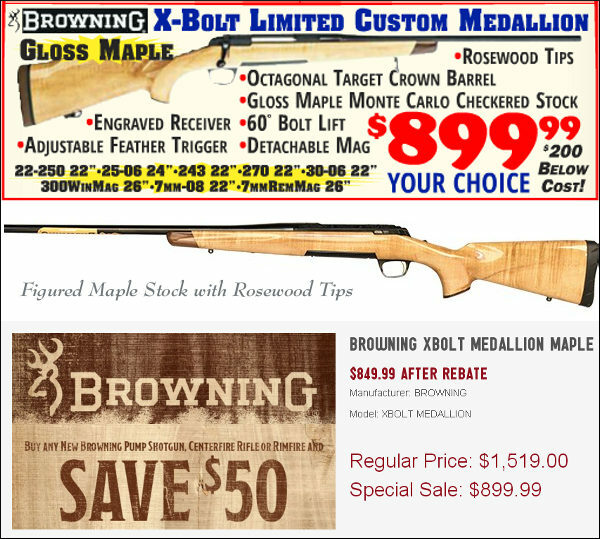 These deluxe Maple-stocked X-Bolt Medallion Rifles are now on sale for $899.99, marked down from $1519.99. Plus, through March 31st, you can get another $50.00 off with a Browning Rebate. The machine-engraved receiver features a polished blued finish, and is glass bedded into the stock. The free-floating barrel is high-gloss blued, hand-chambered and finished with a target crown. The bolt has a 60° lift and the trigger is adjustable. The stock is a high gloss AAA maple with rosewood fore-end and pistol grip cap. These are very nice rifles that any shooter would be proud to own. This Editor has ordered one as a gift to a family member — that should say something. Everyone can use a 1000-round case of 9mm Luger Ammo. This Sellier & Bellot 124gr FMJ brass-cased ammo feeds and functions well. We’ve checked around and this $204.99/1000 price is one of the best deals on brass-cased 9mm ammo this week (for SG members, the cost is $194.99). Plus you can get FREE shipping with CODE SH2656 at checkout. We have shot this ammo in Glock, H&K, Sig Sauer, and S&W pistols. 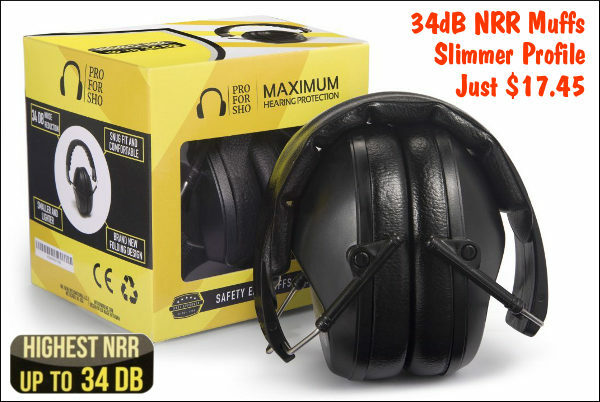 Rated at 1080 fps, this 9mm ammo was very reliable, and the boxer-primed cases are reloadable. Let’s be realistic — this 20-60x60mm Simmons is NOT a great spotting scope. The sharpness is nowhere near as good as you’d get with a $1000+ spotter. However, you can now get this unit for under fifty bucks with manufacturer’s rebate. 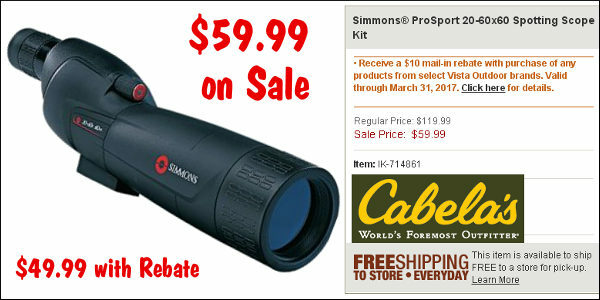 Cabela’s Sale Price is $59.99 and Vista Outdoor is offering a $10 Rebate. For basic work, such as viewing pistol targets, or spotting hits out to 250 yards, this bargain basement Simmons should suffice. Read the owner reviews — they have been surprisingly good. This scope will also work for general recreational use. Hard to beat for fifty bucks. Here’s a good deal on the new Lyman 50th Ed. Reloading Manual. Our Forum members have rated this as the best Loading Manual for starting hand-loaders. This 50th Edition, the first to be produced in full color, includes more load data, and covers more cartridges than ever before. New Cartridges Include: 17 Hornet, 6.5 Grendel, 6.5 Creedmoor, 6.5-284, 26 Nosler, 28 Nosler, 300 Blackout, 300 RCM, 338 RCM, 450 Bushmaster, 458 SOCOM, 50 Beowulf. Amazon has the Softcover version for $19.99 and Hardcover for $23.99. 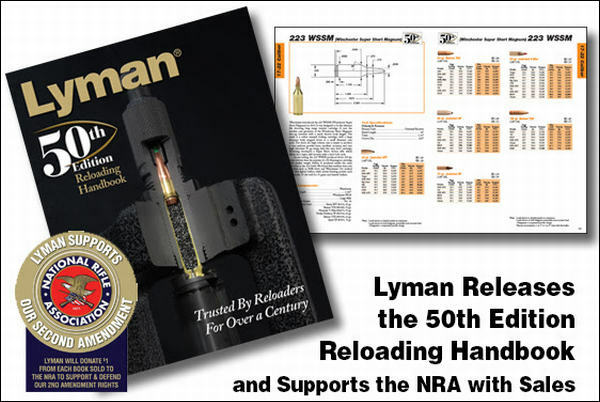 Notably, Lyman donates $1.00 to the NRA for every Lyman 50th Edition Reloading Handbook sold during the first year of publication. Share the post "Bargain Finder 80: AccurateShooter’s Deals of the Week"
We liked (and used) Lyman’s Digital Trigger Pull Gauge before, and now it’s even better. 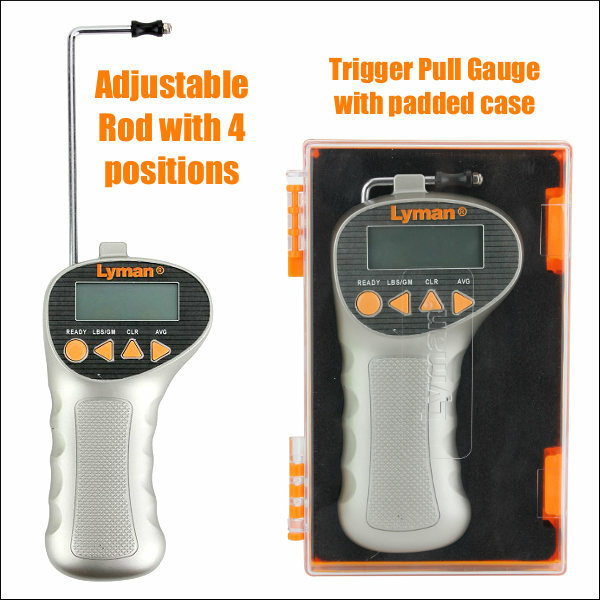 Lyman has updated its pull gauge to be faster and more precise. The new gauge measures trigger pull weights from 1 ounce to 12 pounds with resolution of 0.1 ounces (2.8 grams). We think that anyone running match triggers below 2.5 pounds pull weight should have a gauge like this. Among the pull gauges on the market, we think the new Lyman unit now offers the best performance for the price — this gauge has a $59.95 MSRP, and expect to see it for under $50.00 when it is available. We like the new adjustable, 4-position rod which retracts into the gauge body. 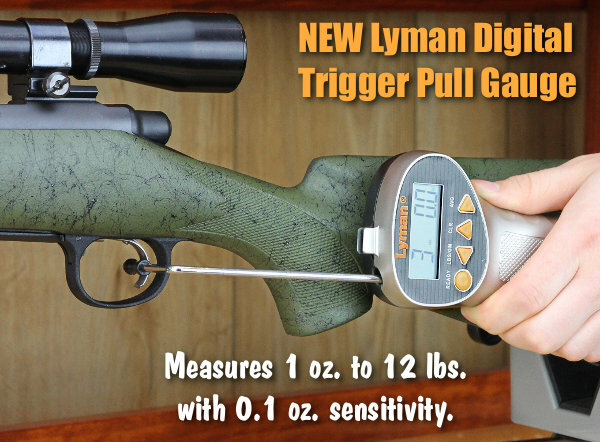 Lyman’s new, improved Electronic Digital Trigger Pull Gauge is designed to be the fastest and most accurate trigger pull gauge available. State-of-the-art strain gauge technology allows for repeatable accuracy of 1/10 ounce (2.8 grams). The gauge features a large, easy-to-read LCD display and you can switch from ounces to grams with the push of a button. 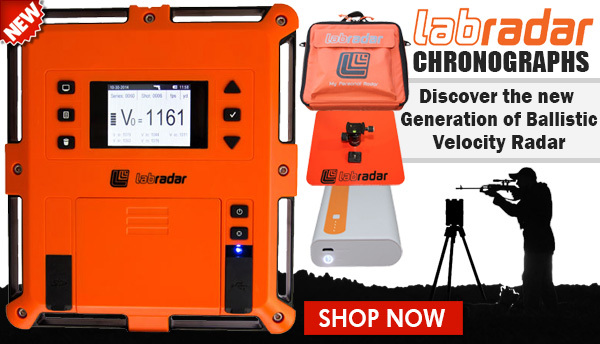 The gauge can also deliver a pull weight average of the last 10 readings. That’s very helpful, particularly when working with factory triggers that may not be very consistent. The new model Trigger Pull Gauge features a solid, collapsible rod with four locking positions. Being able to adjust length makes it easier to use the gauge with a wide variety of firearms. The locking feature prevents the rod from flexing when applying pressure to the trigger. When not in use, the rod conveniently collapses into the gauge body, making the whole unit more compact. The new Trigger Pull Gauge comes in an internally-padded plastic case that can be easily stored in a drawer or on your work bench. The old-style Lyman gauge (shown below) had a limited rod-length adjustment range, and the rod needed to be removed to store the gauge in its soft case. 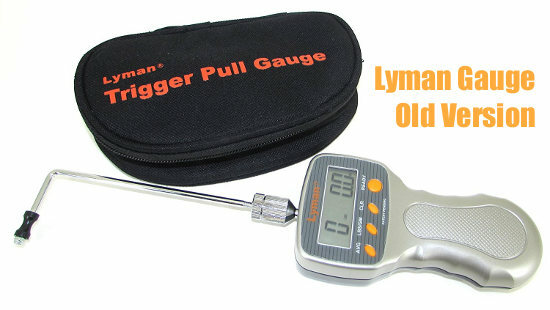 Share the post "NEW Lyman Electronic Trigger Pull Gauge Coming Soon"